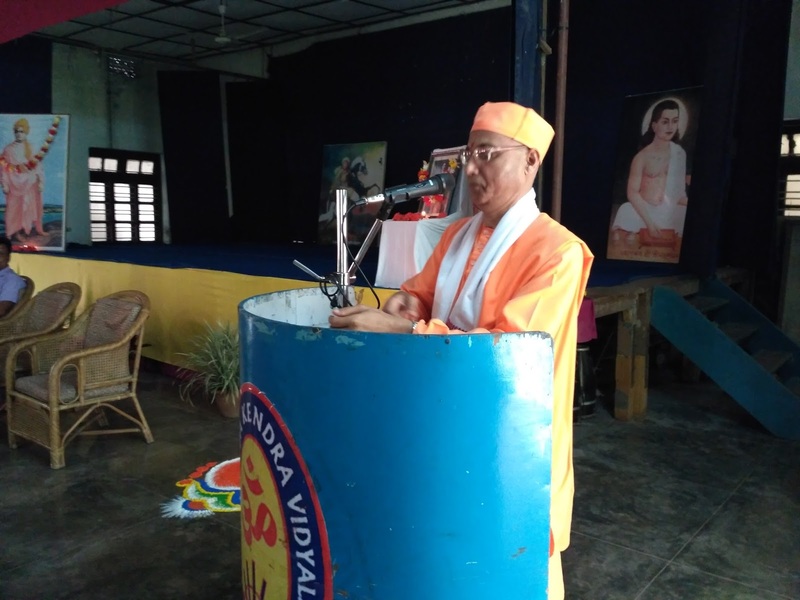 The Vidyalaya observed Sister Nivedita's 150th Birth Anniversary on 28 October with a series of prgramme day long. All the Wall Magazines from different colleges were displayed in the campus which were called for competitions. The house-wise Wall magazines prepared with different theme on Sister Nivedita were also displayed. In the morning assembly the Sr. Sec. students presented beautifiul PowerPoint prepared for the competition. Speech, song and other events were also there. 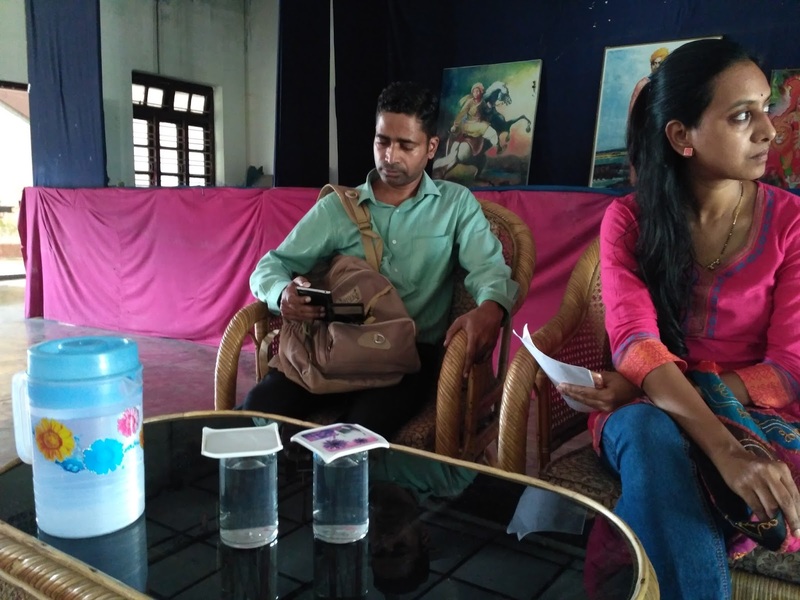 In the noon, "Sneha Sammelon" organised for the parents of class VI and IX. Lectures on life of Sister Nivedita, Games for Parents, Group Discussion & Presentation etc were the happenings of the Sammelon. The Vidyalaya is celebrating the 150th Birth Anniversary of Sister Nivedita this year. As a part of the celebration today on 20 October His Holiness Rev. 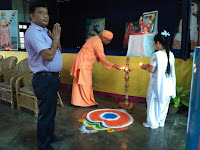 Swami SumanasanandaJi, President, Ramakrishna centre of Durban South Africa (a branch of Ramakrishna Mission, Belur Math), visited our Vidyalaya. He delivered lecture on "Sister Nivedita and her inspiration" as a part of 150th Birth Anniversary of Nivedita. 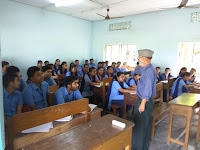 Around 250 students of Sec / Sr. Sec., teachers and other guests were present to attend his session. 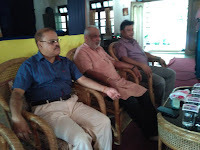 After his session Sri Vasant BarbheJi, (former faculty, IIT Kharagpur) shared some Mathematical model with the Swami. Rev. Swami SumanasanandaJi inspired each and everyone with his spellbound talk. He also emphasised on the responsibilities of the students towards their motherland. 1. 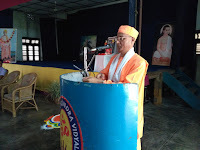 Sri Santosh Takaley : Sr. Scientist Santosh Takaley from Bhaba Atomic Research Centre, Maharastra, visited our Vidyalaya on 7 October 2017. 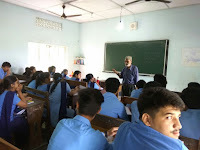 He interacted with the students of Class IX, X, XI and XII. In his lecture he was introducing students with the amazing history of the World through his topic: Developing Scientific Temperament. a. Gyanpith School: At morning 9 am he was talking with the small kids of neighbouring Gyanpith Vidyalalya, a kilometer away from our school. Nearly 50 students / teachers took part. b. VKV Laipuli, Primary Section: Ma. VishwasJi talked, played danced and put values in the mind of young taught in our morning assembly. 300 students/teachers were present in the programme. c. VKV Laipuli, Sec/ Sr. Secondary Section: VishwasJi interacted with the student of higher sections and inspired them to work for the nation and their Vidyalaya. Quoting the life and message of Sister Nivedita and Swami Vivekananda he showed the right direction to move ahead. Almost 400 student/teachers were present here. 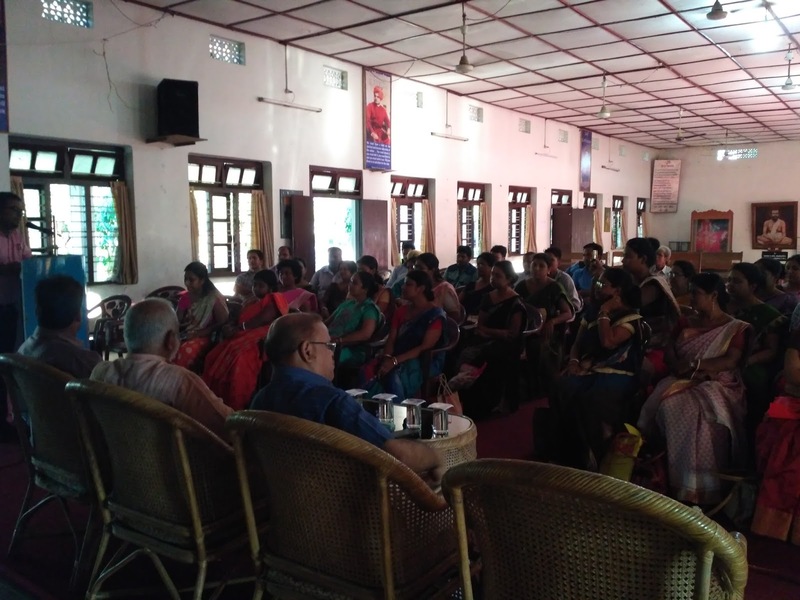 d. Parents of VKV Laipuli : From afternoon 2 p.m. to 3 p.m. he delivered an effective speech on Sister Nivedita to some of the parents , as a part of her 150th Birth Anniversary this year, and inspired parents about their role in bringing up a child with proper values of life. 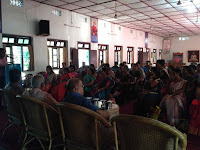 More than 200 parents and teachers attended the programme. e. Teachers of VKV Laipuli: Ma. 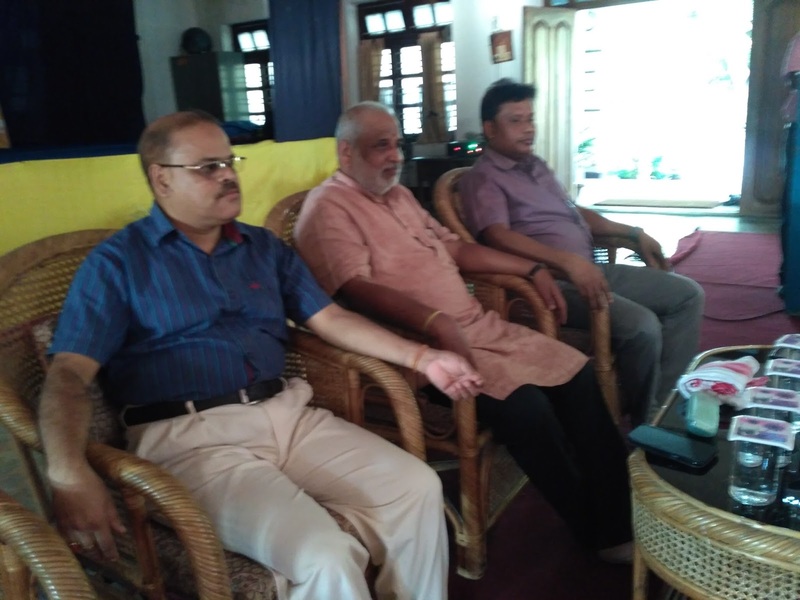 VishwasJi conducted the last session of the day from 3.30 to 4.45 p.m. for the teachers of the Vidyalaya. All were inspired and filled with enthusiasm after listening to him. He was delivering lecture on the topic “Creating positive environment in the Vidyalaya”. Many lively examples with humorous punch, made the speaker effective in his approach. 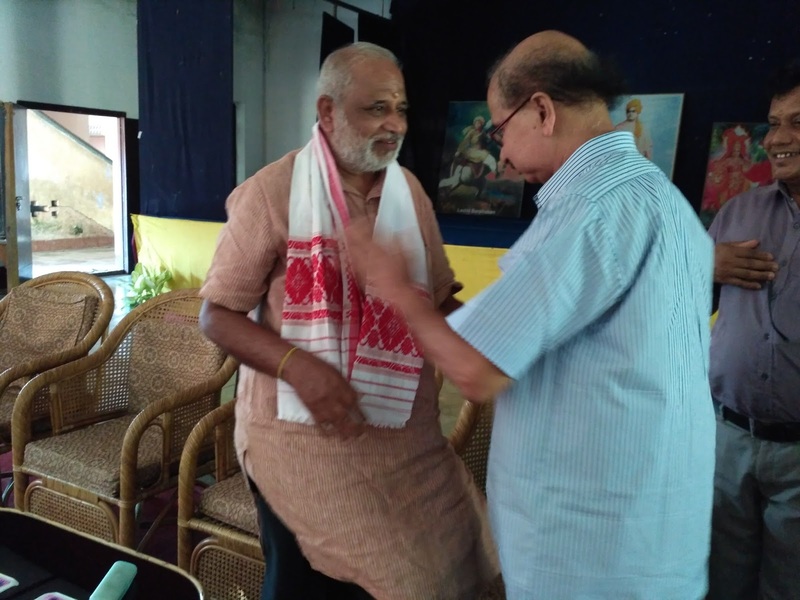 Nearly 60 teachers with Principal Guru Charan Das and RAO, VKVSPV, Sri Digesh Nath was present in the session. f. Prof. Vasant Barve, Retd. Prof Mathematics, IIT Kharagpur, happily agreed and conducted wonderful classes for three days in our Vidyalaya for the students of Class X and XII. His amazing skill of teaching and explanation helped students to grow in wisdom.